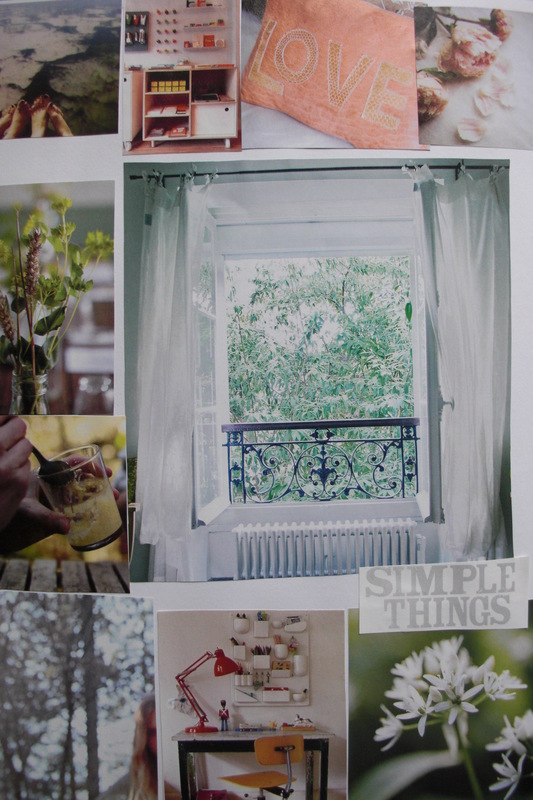 Last month I made a wonderful discovery – a magazine called The Simple Things, which turned out to be a printed version of the types of blogs I love to read. It has beautiful photography and articles about lifestyle, interiors, food, friends, travel and all the other Simple Things that I love. The New Year has become associated with new beginnings. We wipe the slate clean and give ourselves another chance. The New Year is the first day of the rest of our life. We write New Year’s Resolutions in order to take the positive with us into the New Year. Yet we often forget about leaving the negative behind. In these last few days of 2011, think about what you do not want to take into 2012. Use these last few days to prepare yourself for a fresh start. Leaving behind: mess and dirt. I would like my home to be tidy and clean for the New Year. Bringing in: cleanliness, openness, light. Leaving behind: mess, disorganisation and disorientation. Paper is my weakness. Leaflets, flyers, receipts, notes, bills, lists….these are the things that stack up in all corners of my house. They create a mess in my home and a mess in my mind. I would like to sort these out, by throwing away anything I do not need and by putting the rest into folders. Leaving behind: the habit of hoarding clothes, settling for clothes that look less than great, and feeling guilty about buying new clothes. 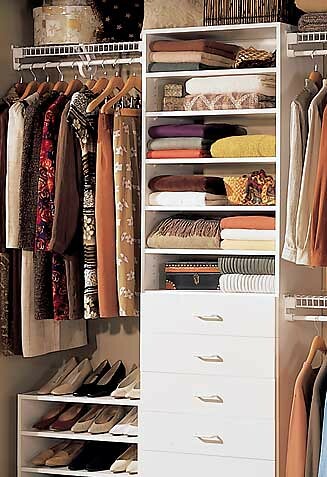 I would like to sort out my wardrobe, in order to get rid of clothes that I no longer like or those that do not flatter me. This will give me space for new clothes and it will give me the opportunity to choose clothes that I love and those in which I feel good. Bringing in: respect and love for self, confidence, beauty. Letting go of: past ties that no longer serve me. I would like to sort out my address book/contact list, leaving only close friends. I have telephone numbers, addresses and e-mails belonging to people who I have not contacted for years and who I am unlikely to contact in the near future. This contact information takes up space and energy in my mind, as I am always thinking about contacting the various people on my list. I would like to limit my contact list to only the people that are dear to me. Bringing in: love, honesty, friendship, peace, time. Leaving behind: dead energy, and the lack of care for living things. In the past few months I have completely abandoned the plants on my balcony. There is not enough daylight or enough warmth for me to spend as much time as I used to taking care of my plants. My balcony is not looking its best, with empty pots and dead flowers. I would like to take care of the plants on my balcony, to prepare them for a year full of life. Leaving behind: information overload, all unnecessary gadgets that make me lose time and energy, and the obsession of always having to be available for communication. I have five email addresses. One for friends, one for work, one for subscriptions, one for official correspondence and one for my blog. Despite putting up filters and unsubscribing from every newsletter, I still receive junk mail. What’s worse, I have emails stored from years back and have to check all five email accounts regularly. My head is starting to explode from this overload of information and this waste of time. I would like to create one email address that I use for all correspondence. I would like to sort out all of my old emails and start with a clean, fresh inbox. Bringing in: simplicity, calm, peace. When your whole being believes in and visualises a circumstance, an event or a state of living, the universe will materialise it. At the start of the year, I wanted peace and calm; I wanted to clear my energy of any surrounding people; I wanted to discover my new life abroad from my own perspective, without the influence of others. Exhausted from the endless contact with acquaintances and strangers that I had in London, I needed a break; I needed to be alone. For months, I was extremely happy being in just my own and my partner’s company. I didn’t try to get out and meet people, and no-one came into my life ‘by chance’. I cooked, I cycled, I went for walks, I took photos, I read, I made collages. I kept myself to myself and didn’t wish for anything else. Since the beginning of September, however, my weeks have been filled with accidental meetings, new friends, old friends, unexpected invitations and spontaneous outings. At first, I couldn’t understand why, suddenly, after all this time, so many people were coming into my life. But then I realised – it is what I wanted. I was once more craving contact and communication, and this wasn’t just a fleeting thought; I knew that I had recharged my energy, reconnected with myself and found my own grounding. Now it was time to share all of this with others. I had sent out a genuine wish into the universe and got an answer. When our wishes are just passing thoughts, the universe hears them as a whisper and can’t make out the message clearly enough to reply. When our whole being – mind, body and soul – truly believes in and is wishing for something, the universe hears loud and clear and materialises our thoughts. Sometimes its replies reach us fairly quickly, at other times, they can take months or years to get to us. But if we want to see it, we firstly have to believe it, no matter how long it may take. For the past few weeks I have been surprisingly unsettled and it is only today that I found the most probable reason for this anxiety. Next week, three of my closest friends are coming to visit me in my new country, my new city and my new life. Amongst organising our long week-end, amongst looking forward to spending time with them and hearing their stories about the past four months, I am filled with fear. What will they think of my new life? What will they think of the way I have changed? What will they think of my new views and my new reflections? What will they think of my new worries and my new problems? I realised that my anxiety comes down to own fear: I am scared that my friends will not like my new life. Or, to put it straight, I am scared that my friends will not love the new me. These are friends with whom I had my wildest days at university. These are the girls with whom I shared high heels and short dresses; they are the ones who curled my hair and did my make-up before a night out. With these girls I danced on tables and talked to too many strangers. These are the friends who would sit wide-eyed and open-mouthed while I told them about my week-end. These are the friends who are used to a girl whose every minute is filled with activity. When they arrive next week, my friends will see a girl with barely any make-up on. They will hear a calm voice telling them about a life spent riding bikes, taking walks in parks, watching sunsets, picking wild flowers, going to local markets, taking photos of nature, writing in bed, reading on the balcony and imitating owls. They will find a girl that keeps to herself and is sometimes shy in social situations. They will find a girl that likes to share thoughts on life and death, friendship and love. They will find a girl that is the most confused, yet the most content she has ever been. When I realised that the cause of my anxiety is a fear of rejection, I thought about how I could make the best of the week-end that I will spend with my friends, without letting insecurity ruin special moments. I immediately remembered a wonderful post I’d read about welcoming guests, and I realised that this is not a time for fear, but a time for love. These are precious days in which I can share my joy, laughter and positivity with people who mean the most to me. These are moments in which I should be giving and sharing, not taking. These are times when I am supposed to be being honest and open, and not trying to impress or entertain. This is an opportunity to show my friends how much they mean to me, and not to expect proof of friendship from them. Fear will most certainly always reside in my heart, but the best thing I can do is to respond with love. So I’ll stop fretting about the broken tiles in my bathroom and the ugly chest of drawers in the living room. I will stop worrying about not knowing the best restaurants or liveliest bars. I will forget about learning the city inside out or getting the best deals for days out. Instead, I will simply do my best to welcome my friends with open arms and give them my open heart.